2 Bedroom Semi Detached Bungalow For Sale in Burnley for Offers Over £95,000. 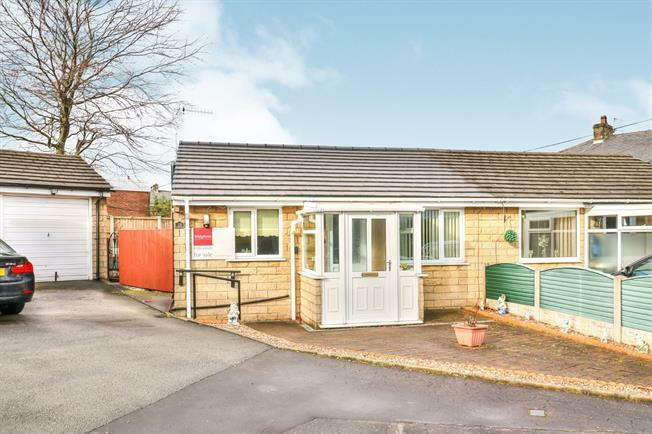 This semi detached true bungalow absolutely must be viewed to be appreciated. Excellently maintained and presented throughout comprising entrance porch, spacious lounge with access to the kitchen. Inner hallway giving access to the recently fitted wet room and two bedrooms over looking the private garden to the rear. There is a small low maintenance front garden, private driveway parking and garage. Located within the ever popular and convenient area of Rosegrove on a quiet tucked away cul de sac in a lovely position. Entrance is gained at the front of the property via a uPVC door into the porch providing access into the lounge. Double glazed uPVC windows facing the front and side. Wall light. Double glazed uPVC window facing the front. Radiator, laminate flooring, ceiling light. Access to the kitchen and inner hallway. Double glazed uPVC window facing the front. Laminate flooring, built-in storage cupboard housing the boiler boiler, ceiling light. Roll edge work surface, fitted wall and base units, stainless steel sink with mixer tap and drainer, integrated electric oven, integrated gas hob, over hob extractor, integrated fridge and freezer. Space for washing machine. Access to the bedrooms and wet room. Double glazed uPVC window with obscure glass facing the side. Heated towel rail, ceiling light. Low level WC, walk-in shower area and thermostatic shower, pedestal sink, extractor fan. Double glazed uPVC window facing the rear overlooking the garden. Radiator, a range of fitted sliding door wardrobes and built-in wall cupboards, wall lights and ceiling light. French uPVC double glazed doors opening onto the patio. Radiator, ceiling light. The property has been extremely well maintained throughout. The following works have been carried out New combination boiler fitted in October 2013 and serviced yearly since. The property had a full re roof in May 2017. The gutters and down spouts were replaced in November 2017. The wet room was fitted in April 2016. 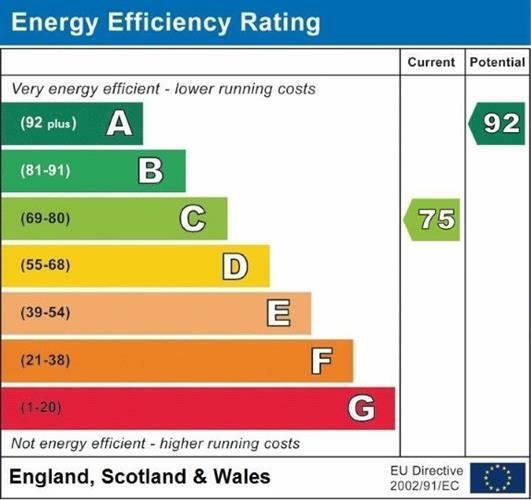 All the glazing and doors were replaced in early 2004, cavity wall insulation done in April 2004, the alarm was fitted in 2004 and has been serviced yearly since. The property has low maintenance gardens to the front and the rear which is a lovely size with fence surround, gated access to the side leading to the driveway and garage, outside tap to the side. The garage has an electricity supply too, an up and over door to the front and private driveway parking to the front.